Dynamic plastic deformation can be evaluated with two accuracy levels, nemely either by a full analysis making use of a step-by-step procedure, or by a simplified analysis making use of a bounding technique. 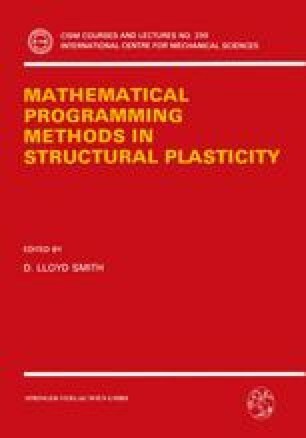 Both procedures can be achieved by means a unified mathematical programming approach here presented. It is shown that for a full analysis both the direct and indirect methods of linear dynamics coupled with mathematical programming methods can be successfully applied, whereas for a simplified analysis a convergent bounding principle, holding both below and above the shakedown limit, can be utilized to produce an efficient linear programming-based algorithm.